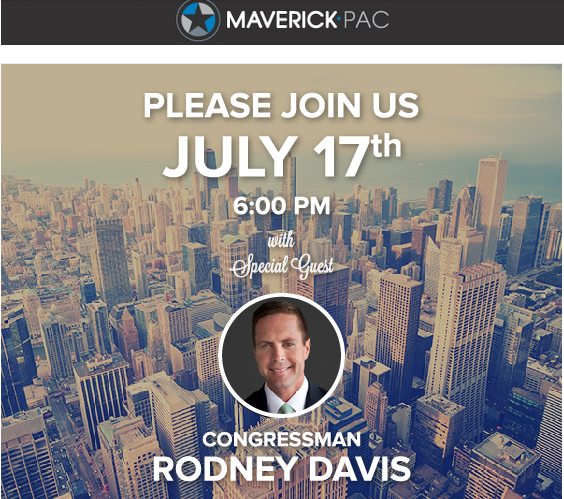 Congressman Rodney Davis, along with Maverick PAC is hosting a fundraiser tomorrow up in Chicago along with the Chicago Young Republicans. Who's Maverick PAC? Well...it was organized to get the next generation of conservatives more involved in politics. And...it's Chairman Emeritus is George P. Bush. You can learn more and RSVP for the Davis event here.